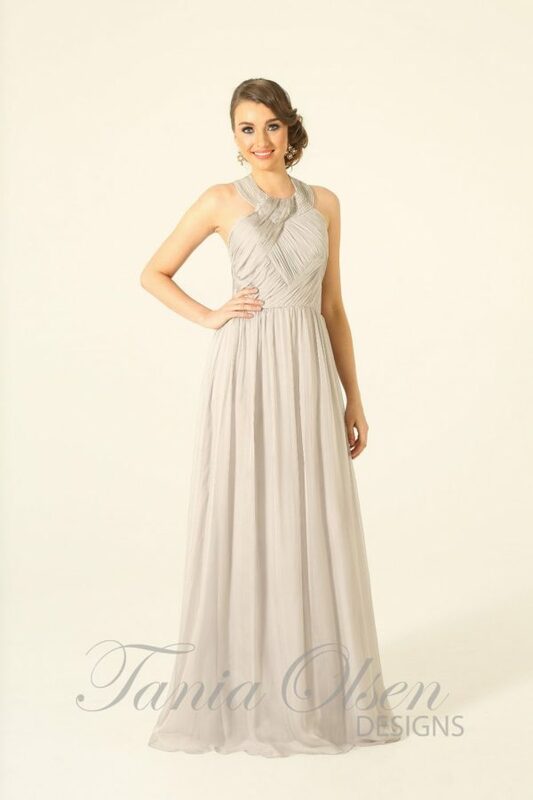 The Karlee bridesmaid dress features a keyhole back neckline over a full length gathered skirt, the perfect dress for an evening black tie event. 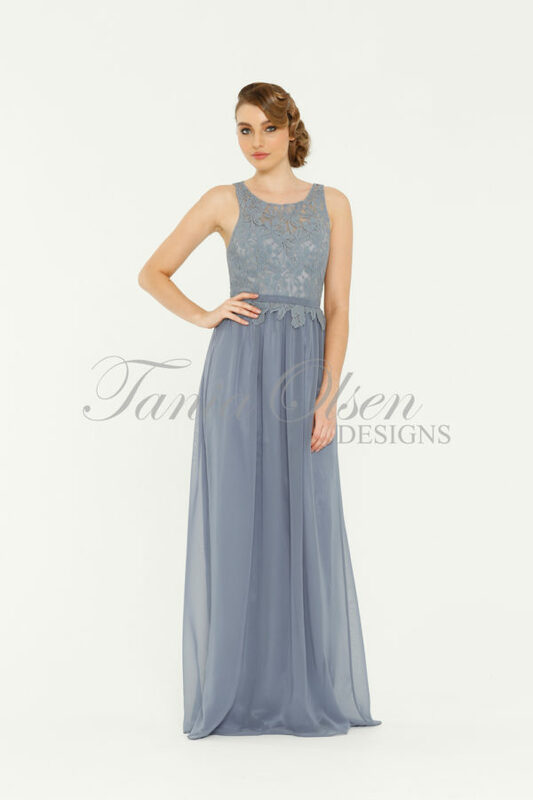 The Karlee bridesmaid dress features lace trim and a stunning key-hole back set to a flowing georgette skirt. A soft cross over front and v-back are pulled in by a waist band that perfectly brings together each beautiful element of this versatile gown.